No trolley portrait additions for my library trolleys series today. 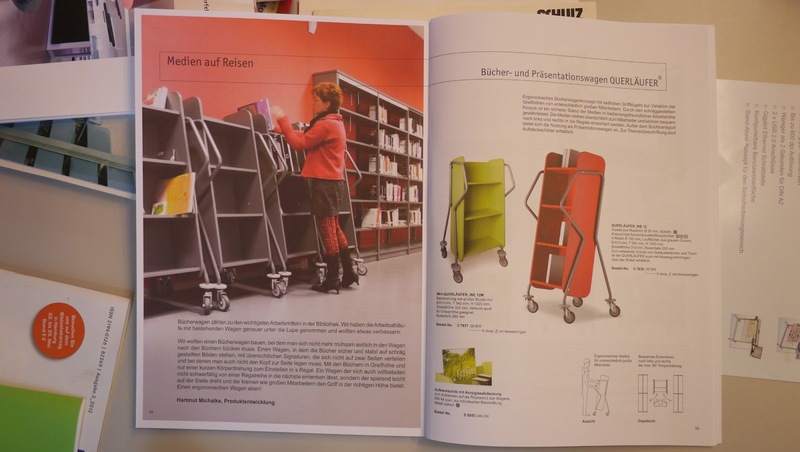 However, I came across a librarian in her natural habitat browsing library trolley catalogues. 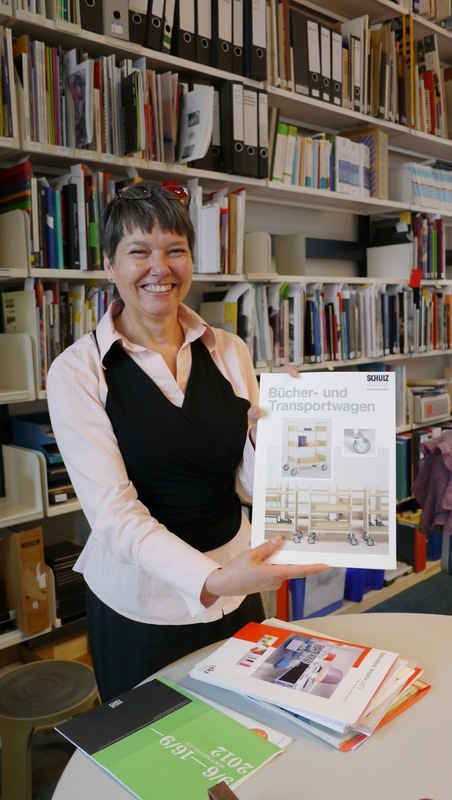 Sabine Franke brings me up to date with trolley technology.